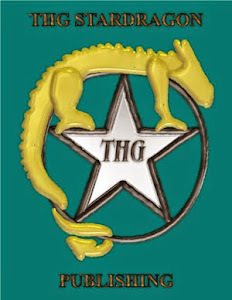 The official blog for THG StarDragon Publishing. Publishing spiritual/paranormal fantasy and open to non-fiction spirituality works. Please don't forget to visit the side pages and check out the main site as well. Current book in series Temple and Skinquest. Enjoy Castle and Well from Amazon, B&N and Smashwords while waiting for that and the prequel's audiobook "Pearls of Sea and Stone: Book of Seals". One of the projects I'm finishing up is getting both Steven Disney's poetry books onto Amazon into both print and ebook formats. It has been more than long enough, his books should have made it over from Lulu, and I was assured they would be when participating in distribution and using them as the primary book distributor for the publishing. They haven't, except for the tranfers I did myself. Part of it may be the very niche nature of his poetry (the trials and joys of gay life). Still, I find it aggravating. So currently, Steven Disney's works can be found on Lulu still, and on Smashwords, which distributes also to other estores (including B&N ebooks). I will update this listing when his titles go live on Amazon, but if you have a favorite bookstore and want a copy, go and ask. The paperback I am waiting on the proof copy to arrive. The Kindle version has a rights review step to go through. If need be I will pull out my evidence and/or get the author to send a letter. Note: Prices are very low for these on Smashwords until January 1st (for holiday season) and then will go back up to normal. The more books sell this season, the more he'll have in his account that I can send him for his royalties). Direct orders are also available, by email, and I will invoice you. If given a subject box, please type "book order" so that it will not be disregarded as possible spam. Payment must be received before shipping. And after the Kickstarter... yep still busy here. Maintained by Teresa Garcia of THG StarDragon Publishing. Ethereal theme. Powered by Blogger.